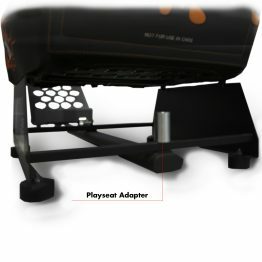 The ButtKicker LFE (low frequency effects) transducer is a “Silent Subwoofer” that allows you to feel powerful bass without excessive volume. 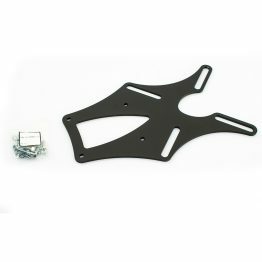 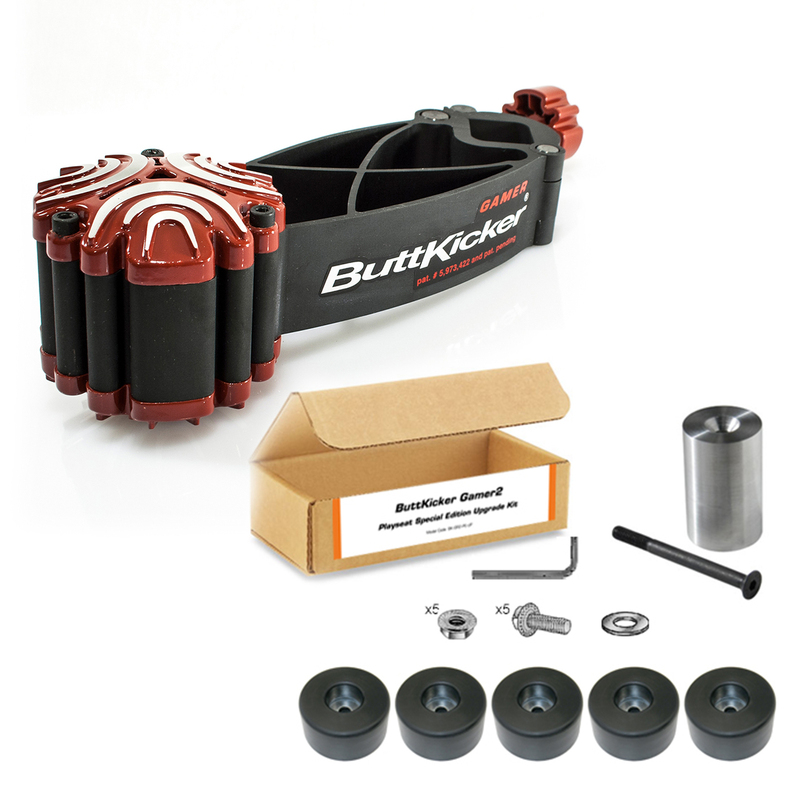 The ButtKicker LFE is a patented 4 ohm low frequency audio transducer that features a 3.75 lbs (1.48 kg) magnetically suspended piston. 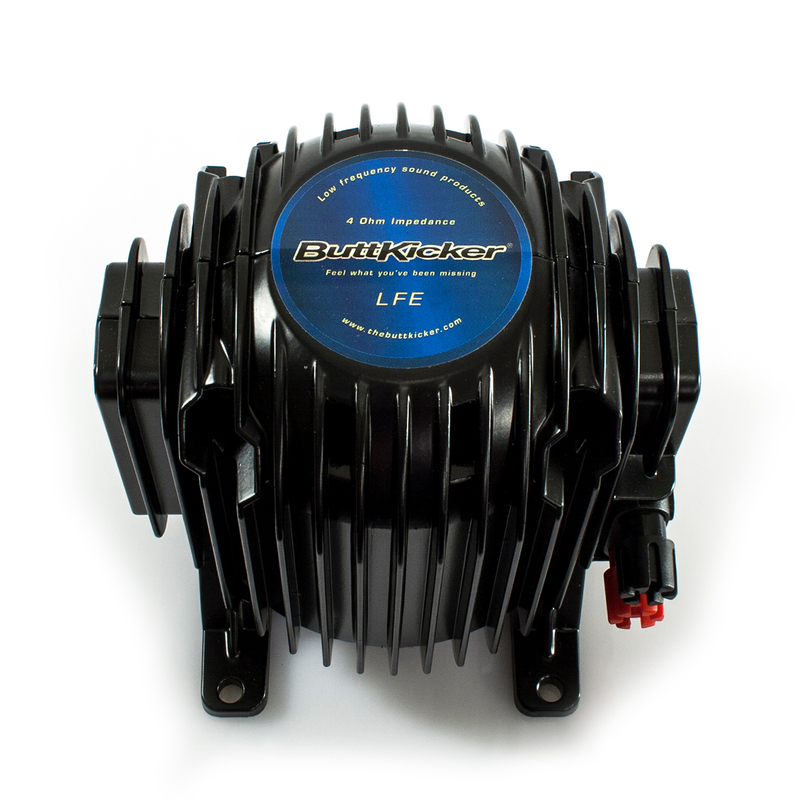 The ButtKicker LFE is accurate, provides powerful frequency response, is virtually indestructible, and requires no maintenance. 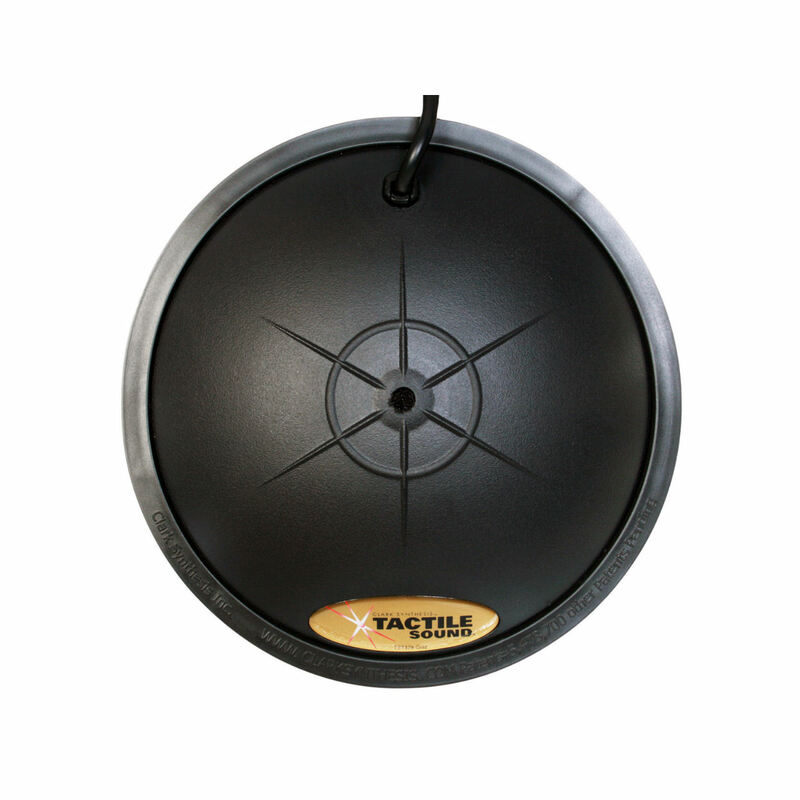 With a frequency response range of approximately 5Hz to 200Hz the ButtKicker LFE provides powerful tactile response without the sound pressure of a subwoofer. The ButtKicker LFE is our largest transducer and is a great fit for large installs. 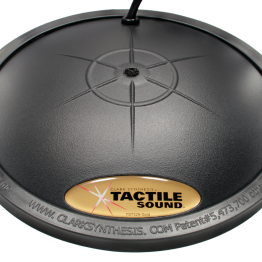 One ButtKicker LFE provides amazing tactile response on even the largest couches. 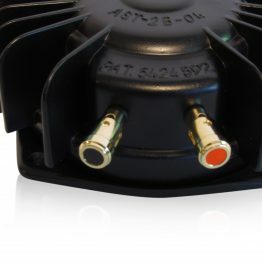 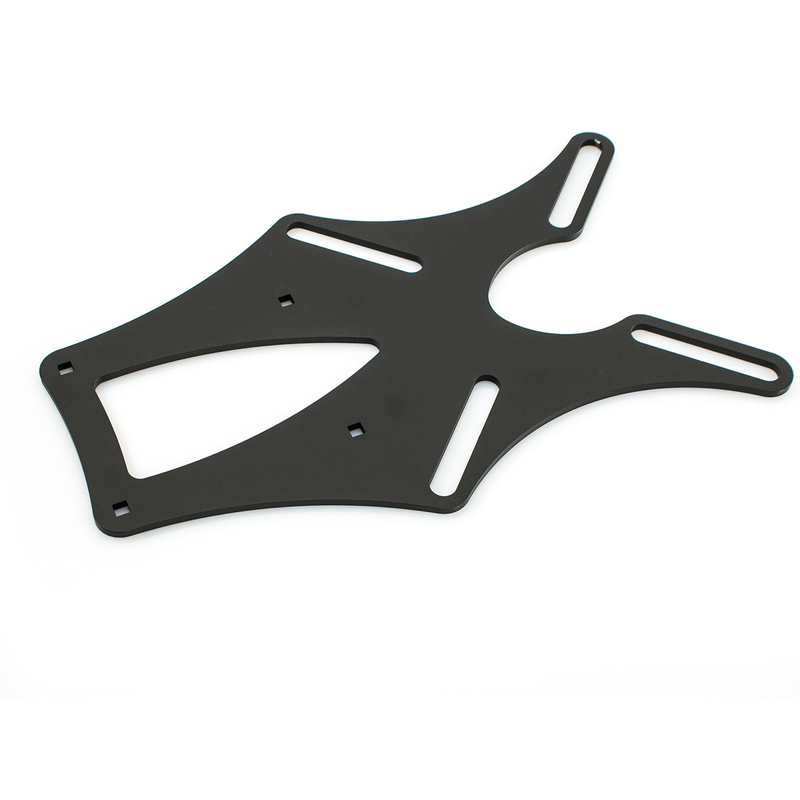 And the ButtKicker LFE transducer is the best fit for home theater risers and platforms. 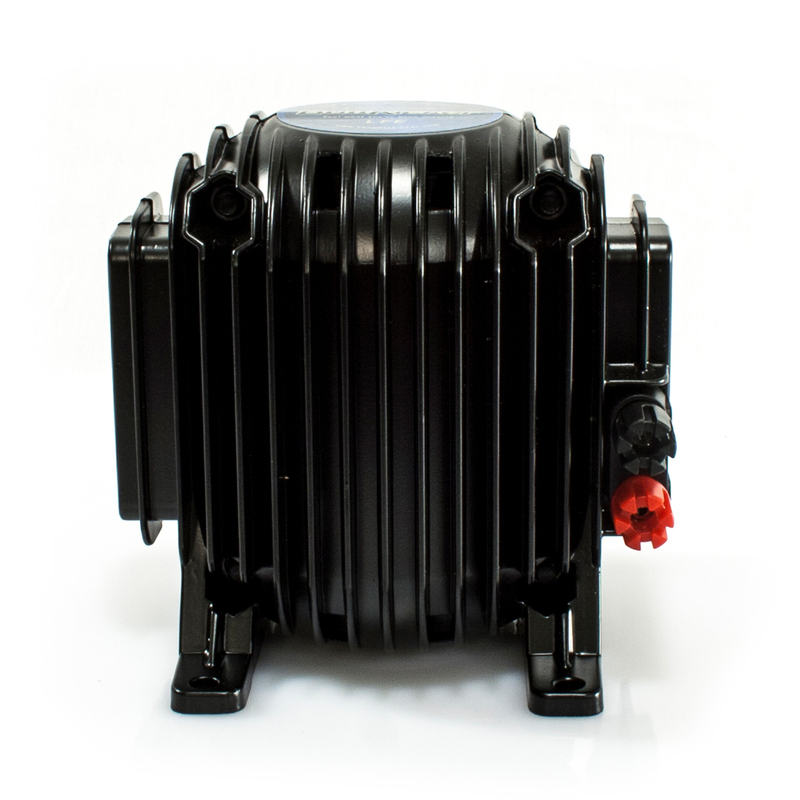 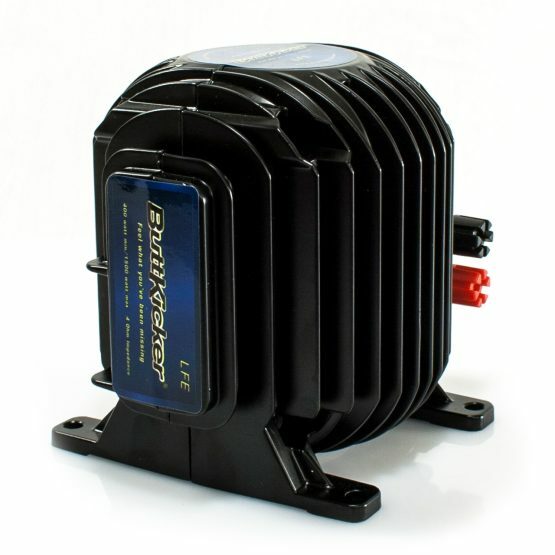 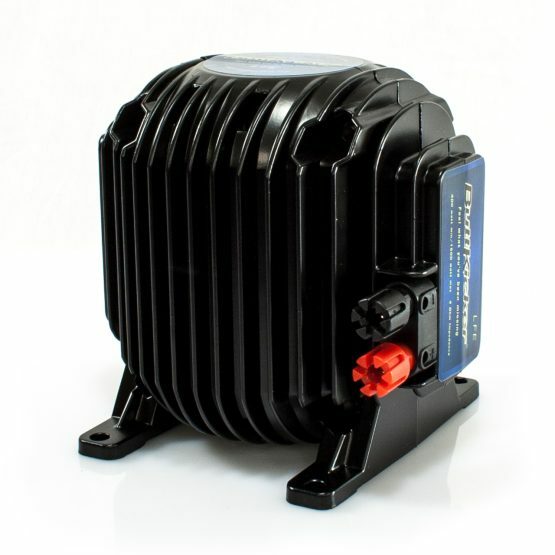 ButtKicker LFE requires a minimum of 400 watts and we recommend a maximum of 1500 watts. The ButtKicker LFE connects to the BKA1000-N power amplifier via 5 way binding posts (banana plugs). 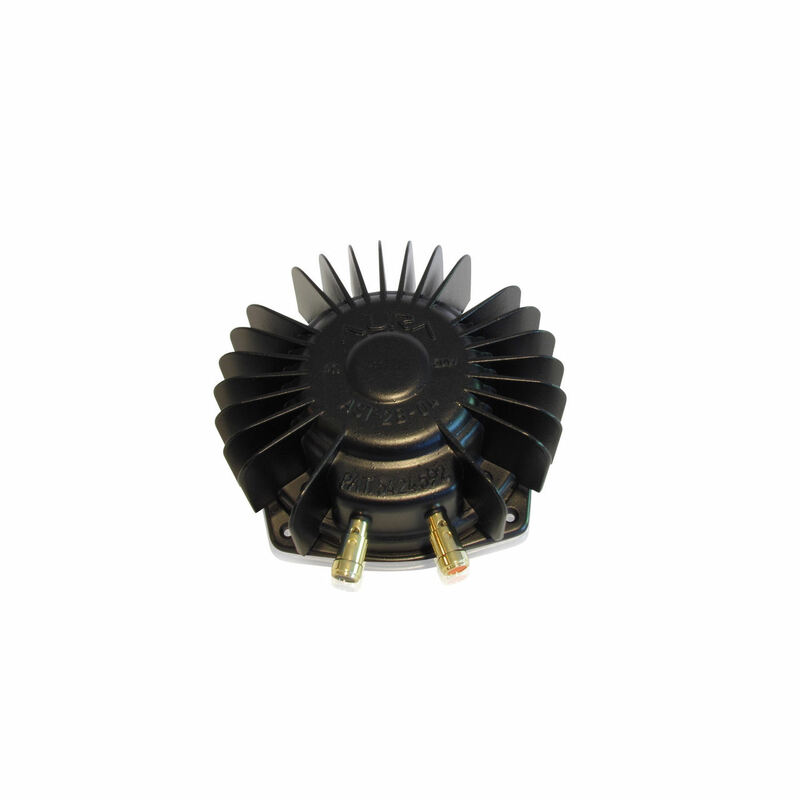 We recommend 14 gauge speaker wire for normal installations and 12 gauge wire for lengthy wire runs.